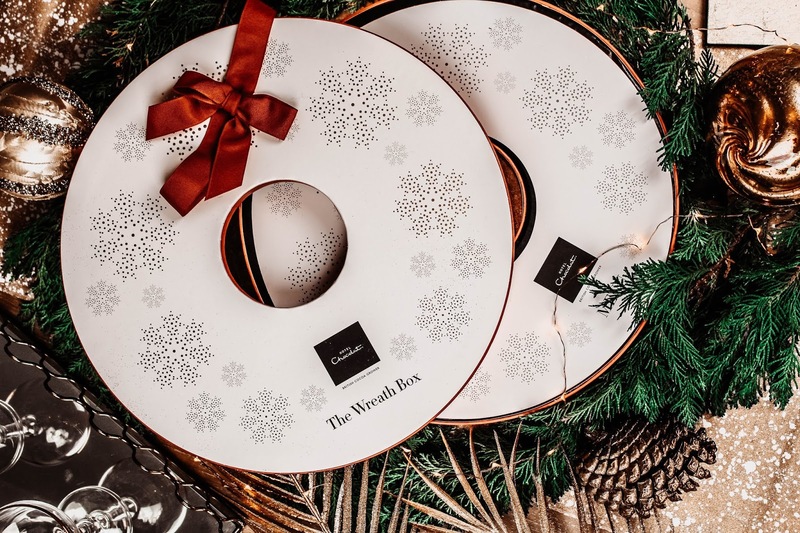 This special festive edit features their award-winning Treacle Tarts, new Honey and Cashew Supernovas and patisserie-inspired Cinnamon Buns. 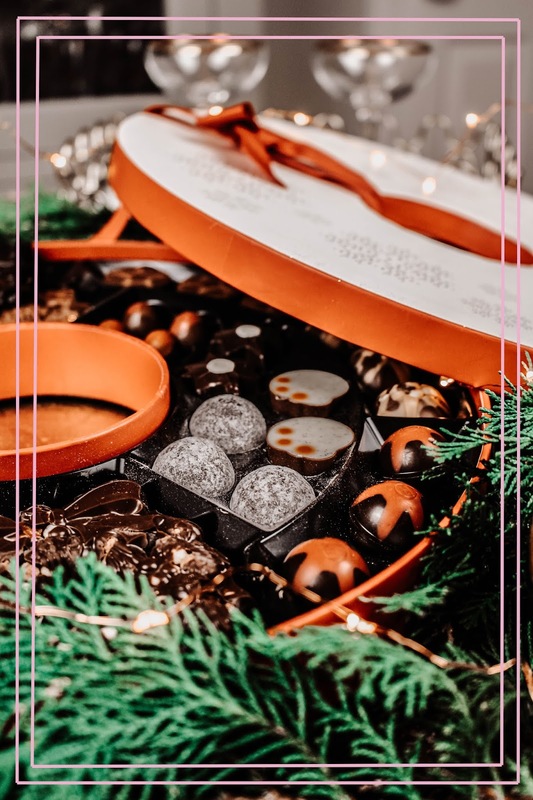 I've mentioned before my love for champagne truffles and so needless to say, they've already disappeared from the box, as well as the Burnt Caramel Pralines. Mmm. Right, enough swooning. It's time for you to enter for the chance to win one of your very own! Simply scroll down to the Rafflecopter widget below and pick and choose your methods of entry. But remember, the more entries you complete, the better your chance will be statistically of winning! 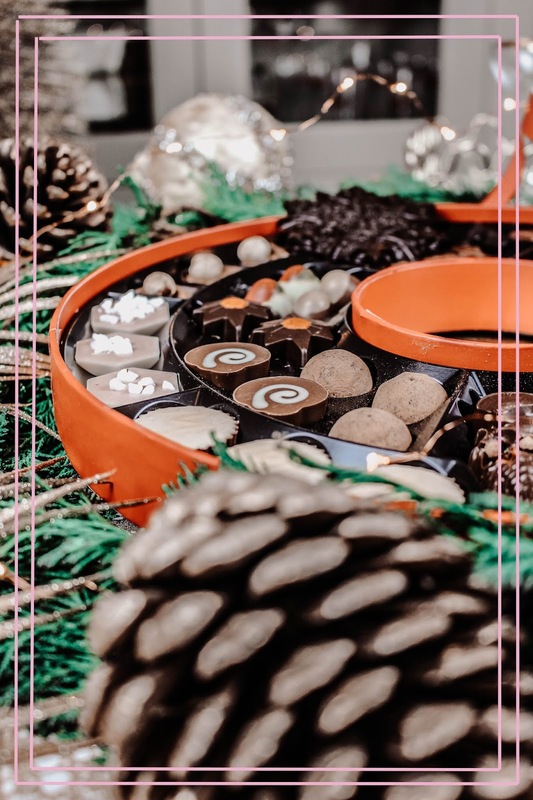 This is probably my favourite treat to have received from Hotel Chocolat; the carefully curated selection of chocolates is to die for and the festive theme is spot on! If you've chosen to enter, good luck! 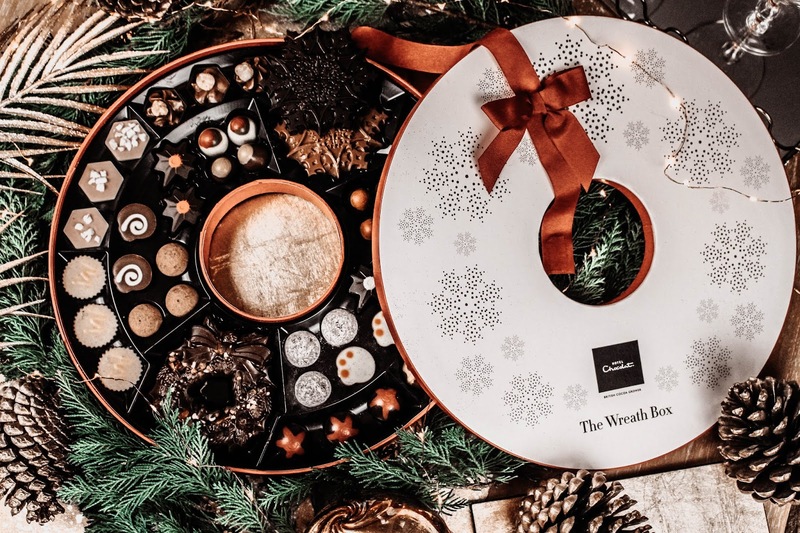 Thanks to Hotel Chocolat for providing this festive prize! 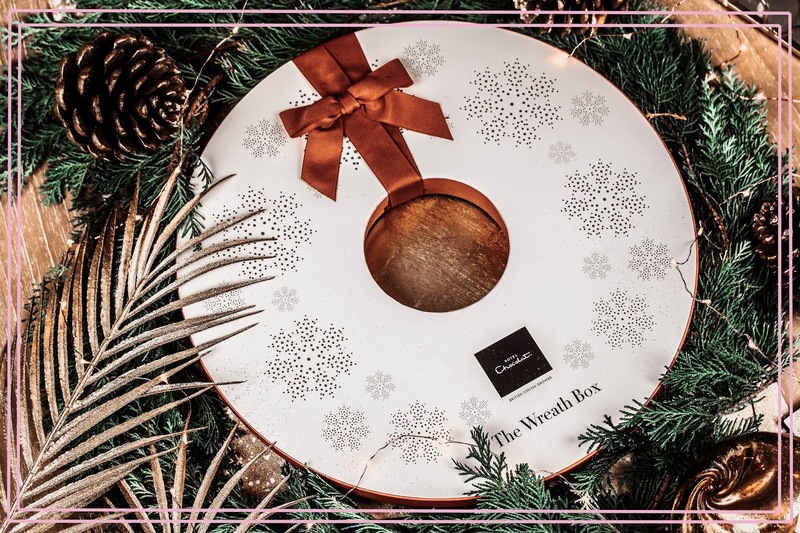 Not only does the chocolate look and sound so delicious, but the box/wreath itself is gorgeous! What a fun thing to have this season. Thanks for hosting the giveaway, lady! Love them all. Thanks for sharing, Gab. 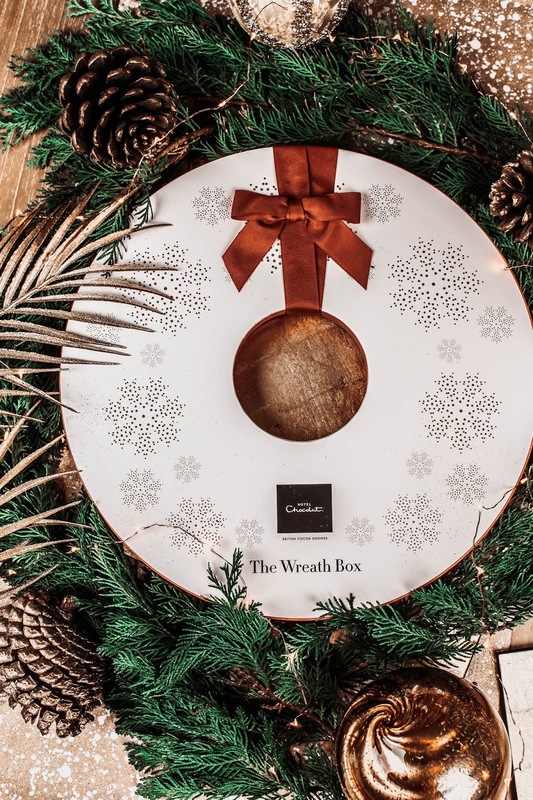 OMG I love Hotel Chocolat and a wreathe made of their stuff? YES! Oh waw! These chocolates look amazing and the package is so cute! 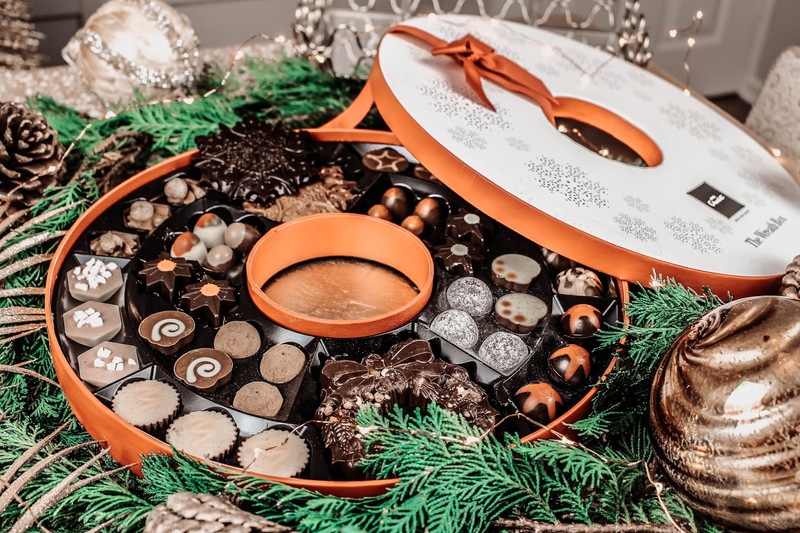 Those chocolates look so so good! 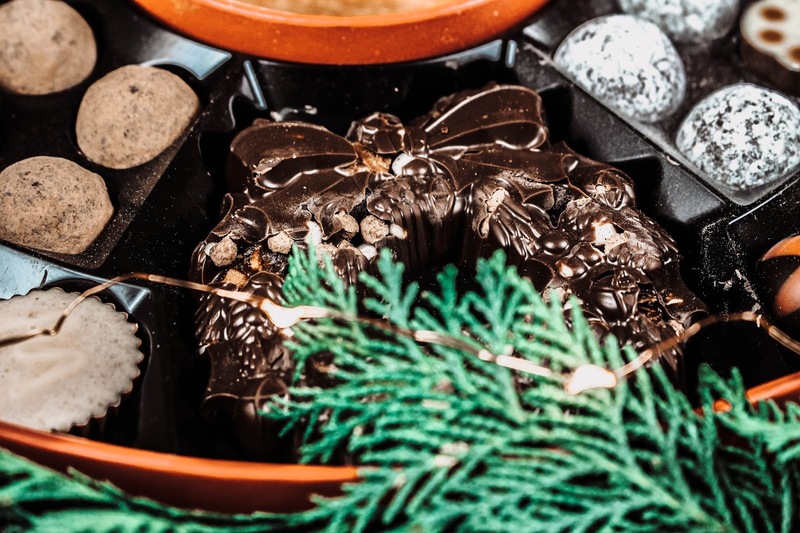 I've never been this hungry reading a blog post before, and the presentation of them is perfect. Thank you for making it international too! It looks sooo good ! I never tried theses chocolate but they really look delicious. What a perfect present and such gorgeous pictures too! Hotel Chocolat is such a beautiful shop and one I can spend way too much time in! What a gorgeous gift this would make! Have a lovely weekend Gabrielle. Such a lovely gift. Crossing my fingers! everything looks pretty! such a nice gift! That box is chocolate haven! Thank you for sharing! OMG looks so delish !!! 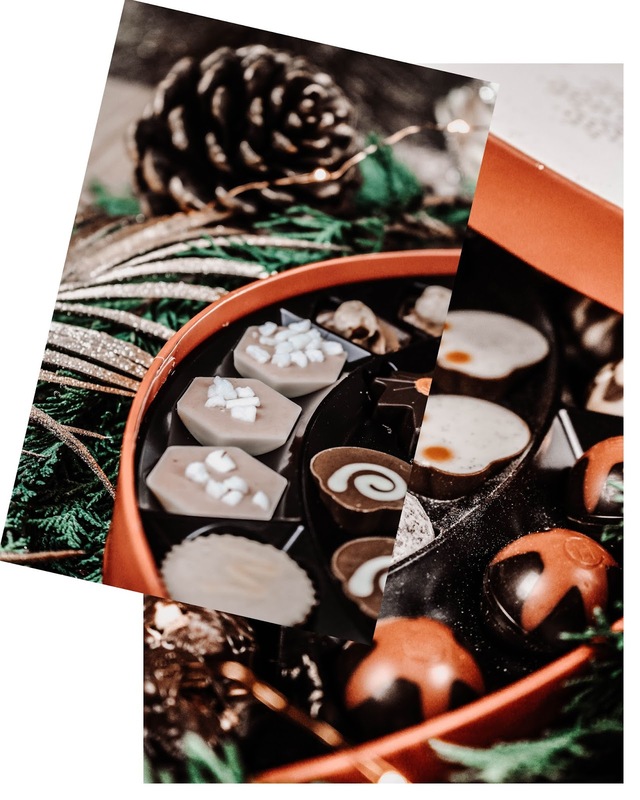 Ooh I actually featured this on my blog a couple of weeks ago when I popped into a Hotel Chocolat store and it was definitely my top three favourites! I definitely don't need any more chocolate but there's no way I can't enter this competition! This looks like heaven for the holidays! I love chocolate! The chocolate looks so delish! Great giveaway! 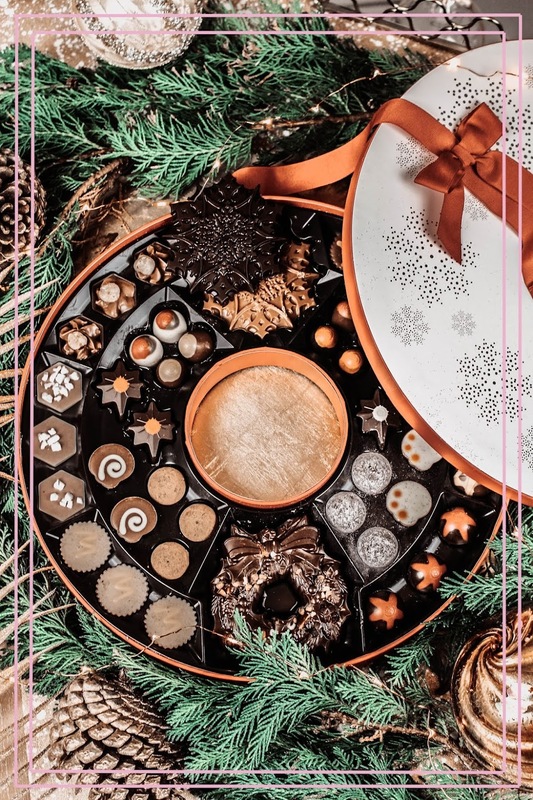 You're such a great ambassador for chocolate and you always host the best chocolate giveaways. This Christmas set looks absolutely divine. Beautiful photography and presentation. I must stay away from sweets or else I'd definitely joined in. Thanks for sharing. Okay! This seriously looks like the most delicious thing I've ever seen. Love how festive it is too! This is super gorgeous dear! Love it! 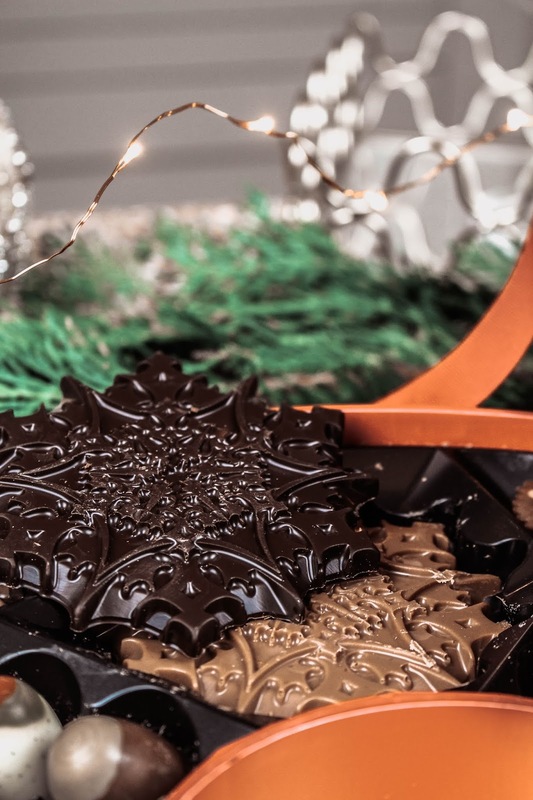 Can't go wrong with chocolate, and this one is just amazing. Wonderful treat. Please consider allowing competition entry for blog comments, e- mail, etc. 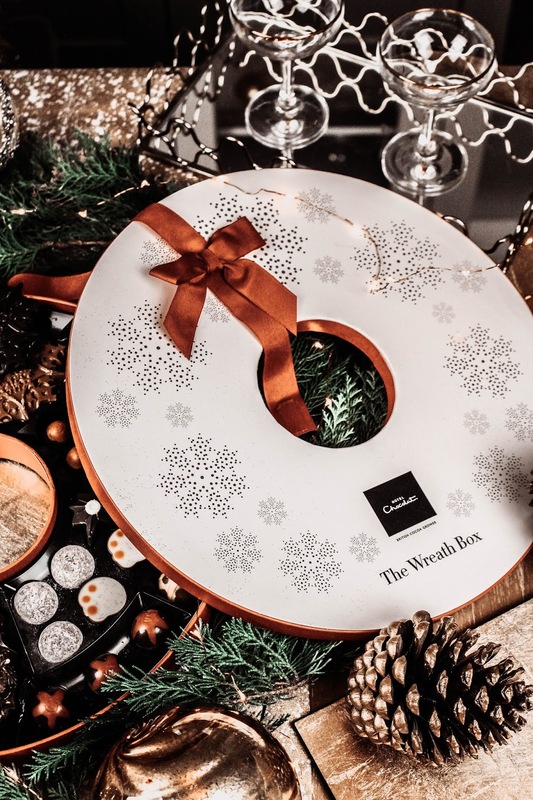 Our family love hotel Chocolat but I think if I won I I might give it to Erskine hospital who help war veterans.This wreath idea is fantastic.